Black Friday is among us. We are all getting ready for all the great deals to be had on that day. But why wait until the stores are packed floor to ceiling with shoppers? We are offering a great deal an entire week before! White Thursday! We are running a special for upper and lower custom whitening trays and 4 tubes of the number 1 whitening system on the market– Opalescence! 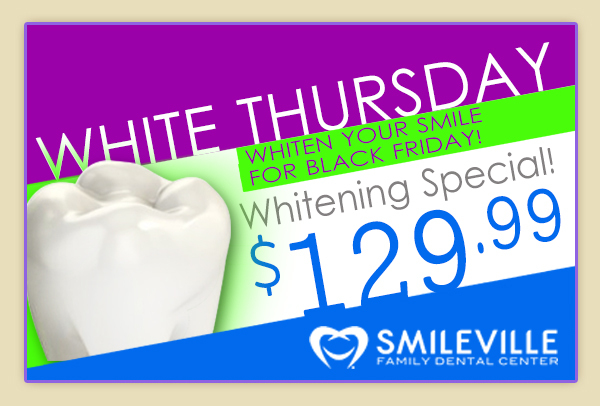 Appointment must be scheduled for or on the White Thursday (11/20/14). 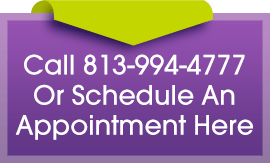 Scheduled appointments dates after 11/20/14 are only valid until 12/11/14. New Patients must have a new patient exam in the same sitting or prior to 11/20/14 for the whitening trays.